A few weeks ago I spotted this engraved in the sidewalk outside my Mid-City House. I think my house was built in the 1930s or 1940s, but I assume there was a house before there was a sidewalk. The Works Progress Administration (WPA) was a New Deal program that employed millions of unskilled workers to carry out public works projects, including the construction of public buildings and roads, and operated large arts, drama, media, and literacy projects. 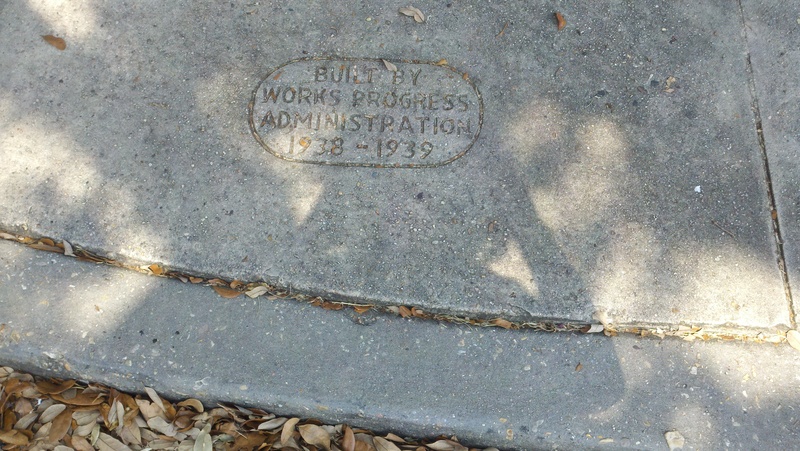 This concrete sidewalk might’ve been practice for the concrete seawall the WPA built on Lake Pontchatrain, when the city embarked on a large land reclamation project. The WPA also produced this city guide. Many of the sites chronicled are still available today.